Efficiency Exchange 2019 will be held May 14-15 in Coeur d'Alene. EFX is the premier learning and networking event for energy efficiency professionals across the Northwest. Efficiency Exchange is the premier networking and learning conference for energy efficiency professionals from across the Northwest. Attendees from public and private utilities, consulting and research firms, government and non-profit organizations will come together to learn and connect to help the region more effectively achieve its energy efficiency goals. This community has no folders. Exhibitor and Contractor/Consultant slots are – SOLD OUT. Contact Maggie Bagan to be added to wait list. Efficiency Exchange is the premier networking and learning conference for energy efficiency professionals from across the Northwest. Attendees from public and private utilities, consulting and research firms, government and non-profit organizations will come together to learn and connect to help the region more effectively achieve its energy savings goals. Learn more about our General Session speakers. Putting Buildings on a Low-Carb Diet: How can Whole Building Programs meet Decarbonization Goals at Scale? Seeking the Measure List Unicorn – Myth or Reality? Please join us for this complimentary evening reception on May 14 from 5:30-8 p.m. at the Hagadone Event Center, 900 S Floating Green Dr. in Coeur d'Alene. You'll enjoy delicious appetizers, a no-host bar and the opportunity to mingle with your colleagues with a stunning view of Lake Coeur d'Alene and the famous Floating Green, the world's first and only floating, movable golf green. The reception would not be possible without our sponsor, D+R International. Complimentary cruise boats will leave the resort docks to take guests to the Hagadone Event Center at 5:15 and 5:30 p.m., with return trips at 7:45 and 8 p.m. For those who are unable to make the scenic cruise, van shuttles will be available beginning at 6 p.m. at the resort entrance, will the last shuttle leaving the Hagadone Center at 7:15 p.m.
A special bonus at this year's reception is the addition of an EV Ride-Along event. This is a great opportunity to take a ride in an EV, and ask questions and learn about them from those who know them best, their owners. Thanks to our EV Ride-Along event sponsors, Forth. A discussion of Demand Response (DR) and Distributed Energy Resources (DER), including batteries, and what they could do for your utility. Extend the life of electrical transmission and distribution (T&D) equipment with demand-side load management. An early conversation and discussion about the next Power Plan. Join us as we discuss recent advancement in gas heat pump technology, the innovative base technologies that are showing outstanding performance, and future applications. Policy-makers, regulators, and utilities across the country are grappling with finding the fastest and least expensive ways to decarbonize our energy use. Come for a discussion of the role of natural gas efficiency in a transitioning energy economy. What role should utilities have as transportation moves towards electrification: wait and see, hope for the best or lead the way? What are utility workers hearing about electric vehicles from their colleagues, their boards and their ratepayers? Join fellow SEM professionals as we discuss challenges and share the opportunities in accelerating the adoption of SEM in the Northwest. What Does "Cost Effective" Really Mean Anyway? Multifamily housing is thought to be a difficult target for energy-efficiency programs. A 2018 study conducted by regional utilities to investigate potential underserved energy-efficiency markets in the Northwest reconfirmed this hypothesis. One reason for this is that renters and low-income households make up a significant portion of multifamily housing and thus suffer from the “split incentive” problem, where the person paying the energy bill (the renter) is not the one paying for improvements (the building owner). What can we do to effectively reach multifamily residents? This session will explore success stories and lessons learned from regional utilities in reaching these constituents. Does Data Support Different Baselines for Diverse Population Groups? non-profit consultancy firms please register as contractor/consultants. Contractor/Consultant – SOLD OUT. Contact Maggie Bagan to be added to wait list. Contact Carol Lindstrom if you are a Contractor/Consultant who is moderator or panelist who has not yet registered. Exhibitor – SOLD OUT. Contact Maggie Bagan to be added to wait list. 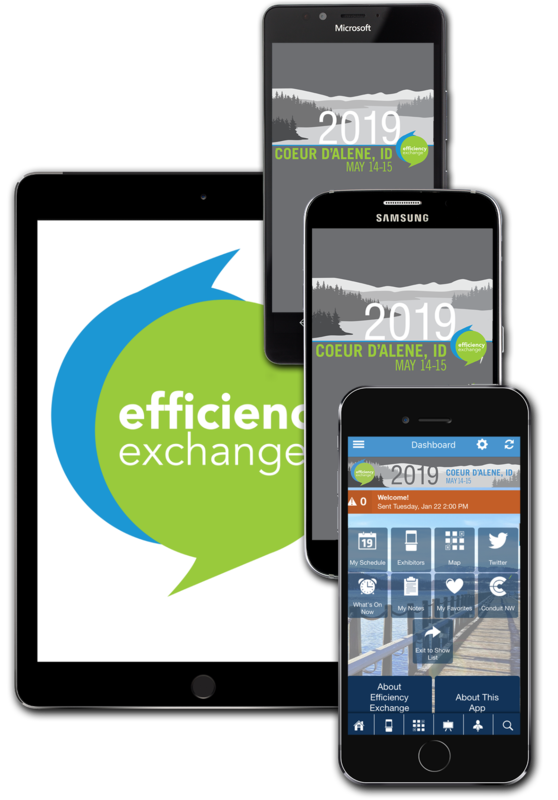 Efficiency Exchange will be held at the Coeur D'Alene Resort on May 14-15, 2019. We have reserved a discounted room block at the Resort. Make your reservation soon; special pricing ends April 17. Lake Tower or Park Tower online reservations. Government Per-Diem online reservations. Government Employee ID required at check in. These luxurious rooms are located in the 18-story lake tower. Rooms are oversized, with distinct living, separate sleeping and dressing areas, with a refreshment center refrigerator in each room. King and two double bed accommodations are available, offering city-mountain or lake views. These rooms are tastefully appointed and more traditional in size. King and two double bed accommodations are available, offering marina, park and city or non views. Newly renovated accommodations located in the original section of the resort with limited views. Government Employee ID required at check in. *Please note that views and bed types are not guaranteed, if booked within a discounted group block, and are assigned at check-in. However, we will do our best to accommodate any special requests. Efficiency Exchange 2019 will be in Coeur d'Alene, Idaho on May 15-16, 2018 at the Coeur D'Alene Resort. The Resort is located at 115 S. 2nd Street Coeur d'Alene, Idaho 83814. Rental cars are available at the airport from multiple vendors. The Coeur d'Alene Resort is easy to reach by automobile via Interstate 90 (Exit 11) or Highway 95 (Northwest Blvd). From the exit, follow the directions to downtown and watch for the Resort on your right. Self or valet parking at the resort is available for $10 per night for overnight guests. Parking for day-use guests is $5 per day. Conference attendees staying at the Coeur d'Alene Resort will receive a group golf rate of $120 (tax and surcharge included). This special rate includes water taxi to the course, 18 holes of golf, golf cart, unlimited floating practice balls, personalized bag tag, forecaddie and complimentary warm-up sports massage. To take advantage of this special offer, reserve your start time directly with the Golf Course by calling (208) 667-GOLF and mention Efficiency Exchange. 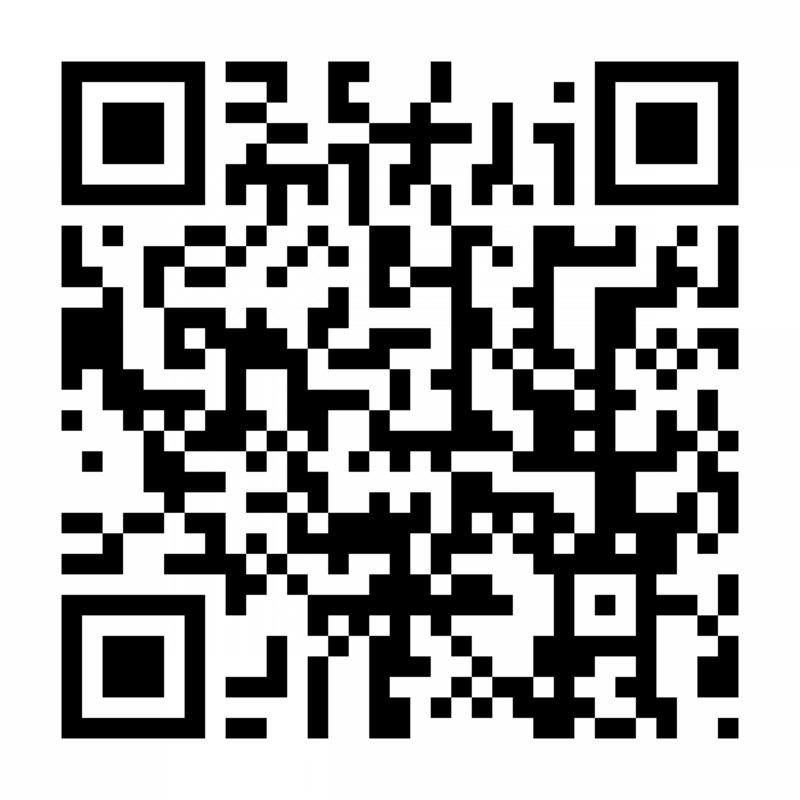 Get the Efficiency Exchange official app now to get the most from your conference experience! Thanks to our app sponsor, CLEAResult. Please note –this event is no-host and is exclusively for utility, government, and non-profit staff. If you are in Coeur d'Alene the night before EFX, please join us at the pre-conference social at the Taphouse Unchained. Join your peers for a casual gathering at this uniquely situated cycling-themed bar, located near the famous Centennial Bike Trail in downtown Coeur d'Alene. Location: Taphouse Unchained - 210 Sherman Ave, Coeur d'Alene, ID 83814, in the Resort Plaza Shops next to the Coeur d'Alene Resort. Market transformation is more than a buzz word. It’s a strategic process of intervening in a market to create lasting change. Over the course of his career in energy efficiency, NEEA’s Chief Transformation Officer Jeff Harris has been involved in emerging technologies, research and evaluation, integrated resource planning, as well as codes and standards. In this session, Jeff distills over 30 years of market transformation experience into a lively and entertaining presentation covering everything you need to know to design, implement, and measure a successful market transformation program. No cost to attend; just RSVP for this class to Veronica Marzilli. Learn more about the class and Jeff Harris' thoughts on market transformation. Jeff Harris is the Chief Transformation Officer for the Northwest Energy Efficiency Alliance (NEEA) where he has spent the last 20 years pioneering, developing and advancing NEEA’s leadership in market transformation for energy efficiency. His work currently focuses on assessing and advancing strategic initiatives for NEEA and the Northwest region. In person meeting of the RTF's Small/Rural Subcommittee. This will be an opportunity to review the applicability of recent measure updates to SRR utilities and discuss potential measures of interest. For more information and to RSVP, please contact Jennifer Light. A special bonus at this year's reception is the addition of an EV Ride-Along event. This is a great opportunity to take a ride in an electric vehicle, ask questions, and learn about EVs from those who know them best ... their owners. Thanks to our EV Ride Event sponsors, Forth. Complimentary cruise boats will leave the resort docks to take guests to the Hagadone Event Center at 5:15 and 5:30 p.m., with return trips at 7:45 and 8 p.m. For those who are unable to make the scenic cruise, van shuttles will be available beginning at 6 p.m. at the resort entrance, with the last shuttle leaving the Hagadone Center at 7:15 p.m.
Pre Registration for Workshops is closed but you can still sign up at the registration desk!!! Get outside the usual conference session format and learn with us in an interactive workshop format, where you can connect with your counterparts at other utilities and get practical insights and ideas to take home with you. And now, you don't have to be registered for Efficiency Exchange in order to attend the workshops! Workshop registration is closed, but registered conference attendees can stop by the Registration Desk to sign up during the conference. In today’s increasingly fractured marketing world, the need to reach your audience at the right time, in the right place and with right message is fundamental to effective marketing efforts. But how do you know whom to target and with what message? And what mediums resonate the most with different audiences? In this workshop, participants will learn trends and best practices in digital marketing, and how and when to utilize it. Also, how to use research and data analytics to glean audience insights from which to build targeted marketing plans. Marketing professionals from regional utilities, energy efficiency organization and NEEA will share their experiences and lessons learned in identifying and connecting with underrepresented audiences – and provide actionable takeaways to address real-world marketing problems. Ask not what evaluation is doing TO your programs; ask what evaluation can do FOR your programs. Gone are the days when hundreds of pages worth of evaluation reports sit unread on forgotten server locations! Rapid feedback, infographics, and continuous performance monitoring are here and now! In addition, there are plenty of opportunities to combine forces with similar functions to save time, frustration, and effort for everyone – all while maximizing the usefulness of results. This workshop will examine recent experiences of energy efficiency evaluation efforts that strive toward maximizing the value for program design and implementation by leveraging innovative data collection techniques, advanced data analytics, and user-friendly graphical presentations. Utilities and customers are using more and more game changing equipment that is electronic, controllable, and changing constantly. Not all of us can be electrical engineers and IT experts, but we need to be able to understand choices and implications of these changes. During this round-robin session you’ll meet the experts who can make the complex understandable. Multiple topic tables will be set up and you can rotate to the topics most useful to you. When possible, demos and hands on opportunities will be available. They’ll describe the topic area, and then answer your questions and facilitate conversations. Topics will likely include things such as communication methods and protocols (WiFi, radio signal, AMI networks, Autogrid), smart connected devices and controls (thermostats, water heaters, luminaire level lighting control), demand response control technologies, metering methods (whole building, end uses, devices), and utility strategy choices relating to these issues. Join 2018 Hot Water Forum presenters and attendees to discuss everything from Demand Response to innovative water heating technologies (electric and gas). Questions on workshops? See Carol Lindstrom. I Scream. You Scream. We all Scream for Midstream! Please join us for this complimentary evening reception on May 15 from 5:30-8 p.m. at the LeMay Car Museum, 2702 East D St. in Tacoma. You'll enjoy delicious appetizers, a no-host bar and the opportunity to mingle with your colleagues amidst one of America’s finest collections of classic cars. The reception would not be possible without our sponsor, D+R International. A complimentary shuttle will run from the convention center to the museum at 5:15 and 5:30, and Lyft and Uber are also both available. For those of you who prefer to drive, parking is available onsite at $5 per car. Find interactive directions here. Workshop sessions are complimentary with your conference registration; however, you must register to secure your spot. Workshops are offered based on a minimum number of attendees, so be sure to sign up today! In today’s increasingly fractured marketing world, the need to reach your audience at the right time, in the right place and with right message is fundamental to effective marketing efforts. But how do you know who to target and with what message? And what mediums resonate the most with different audiences? In this workshop, participants will learn trends and best practices in digital marketing, and how and when to utilize them. We will also cover how to use research and data analytics to glean audience insights from which to build targeted marketing plans. Marketing professionals from regional utilities, energy efficiency organization and NEEA will share their experiences and lessons learned in identifying and connecting with underrepresented audiences – and provide actionable takeaways to address real-world marketing problems. Get in hot water with 2018 Hot Water Forum presenters and attendees to discuss everything from recirculation pumps to demand response! Ask not what evaluation is doing TO your programs; ask what evaluation can do FOR your programs. Gone are the days when hundreds of pages worth of evaluation reports sit unread on forgotten server locations! Rapid feedback, infographics and continuous performance monitoring are here and now! In addition, there are plenty of opportunities to combine forces with similar functions to save time, frustration and effort for everyone—all while maximizing the usefulness of results. This workshop will examine recent experiences of energy-efficiency evaluation efforts that strive toward maximizing the value for program design and implementation by leveraging innovative data collection techniques, advanced data analytics and user-friendly graphical presentations. Utilities and customers are using more and more game-changing equipment that is electronic, controllable and changing constantly. Not all of us can be electrical engineers and IT experts, but we need to be able to understand choices and implications of these changes. During this round-robin session you’ll meet the experts who can make the complex understandable. Multiple topic tables will be set up where you can rotate to the topics most useful to you. When possible, demos and hands-on opportunities will be available. They’ll describe the topic area, and then answer your questions and facilitate conversations. Topics include communication methods and protocols (WiFi, radio signal, AMI networks, Autogrid), smart-connected devices and controls (thermostats, water heaters, luminaire-level-lighting control), demand-response control technologies, metering methods (whole building, end uses, devices) and utility strategy choices relating to these issues. Efficiency Exchange is the premier networking and learning conference for energy efficiency professionals from across the Northwest. Attendees from public and private utilities, consulting and research firms, government and non-profit organizations will come together in Coeur d'Alene, Idaho, to learn and connect to help the region more effectively achieve its energy efficinency goals. Poll: What topics do you want to hear about at EFX19?